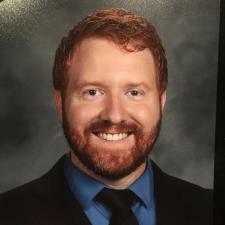 I am a current administrator of an elementary school with 5+ years of math teaching experience. I have taught all high school and middle school subject areas, and have tutored students as young as 5 and as old as college-aged. I thoroughly enjoy the process of teaching and helping students learn at their pace. I am excited to work with you! I have experience tutoring and teaching topics from elementary math to Pre-calculus. I am patient and eager to work at your pace to help you better understand math! I am available as an online tutor. Don't hesitate to contact me to get your path to math success started. I have tutoring experience in Elementary Math, Junior High Math, and High School Math. I have passed the AEPA exams in Secondary Math (7-12) and Elementary Education (scored perfect on math portion of test).